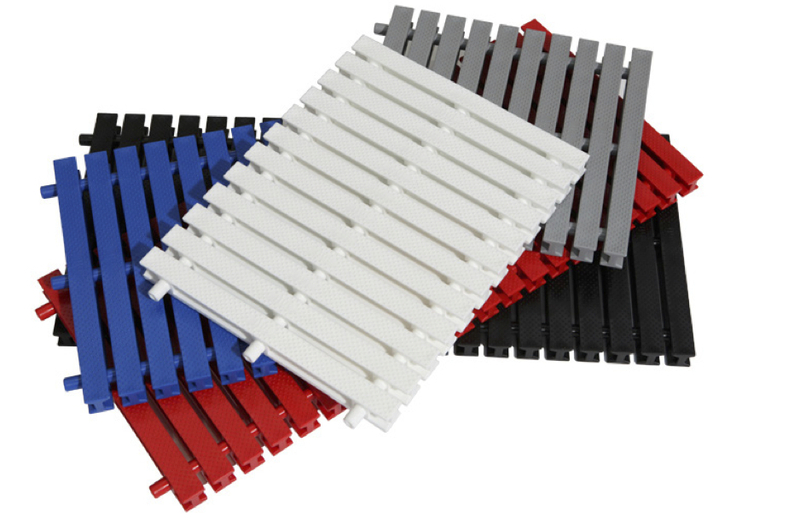 The Anti TransGrate is an overflow grating solution that combines durability, strength and excellent non-slip traction and comfort to the feet. Available in 250mm, 300mm, 350mm, and also custom sizes on request. The Anti TransGrate PP is an overflow grating solution that combines durability, strength and excellent non-slip traction and comfort to the feet. 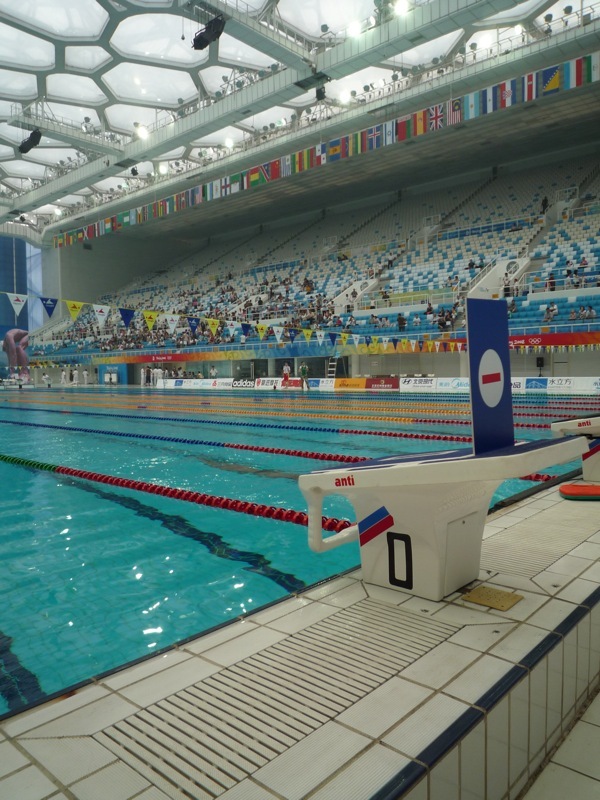 Anti Wave TransGrate PP Gratings have been used in public and private pools for over 40 years around the world, including top international aquatic facilities. Anti Wave TransGrate PP Gratings are highly resistant to UV light, chlorine, sea water and spa water. Our advanced design allows maximum strength and integrity while maintaining comfort to the feet, safety, hygiene, and durability. Our interlocking design also allows for the provision of curves with radius up to 3950mm. • Available in 250mm, 300mm, and 350mm width. Anti Wave TransGrate PP Gratings profile include our unique I-Beam interlocking design. This enables maximum strength and durability on the pool deck, while maintaining very high levels of comfort under the feet. • Produced from engineering plastics (PP) for superior strength and durability. Materials used are safe and non-toxic and ensure precise tolerances, consistent colour, thickness and density are maintained. 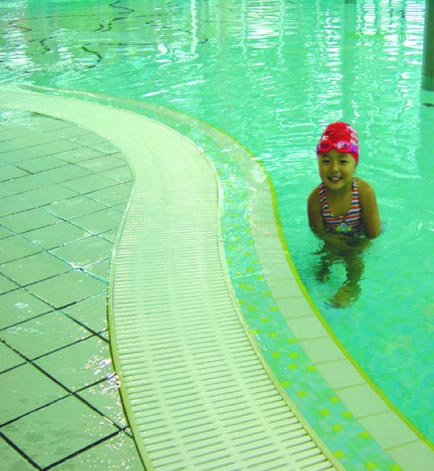 • Unique I-Beam profile ensures maximum strength and durability, as well as provides a highly comfort able, non-slip top surface for maximum safety and comfort on the pool deck. • Unique I-Beam profile design is gentle on the feet and Antislip top is highly slip resistant. • UV stabilised materials are highly durable and offer excellent safety and hygienic qualities. 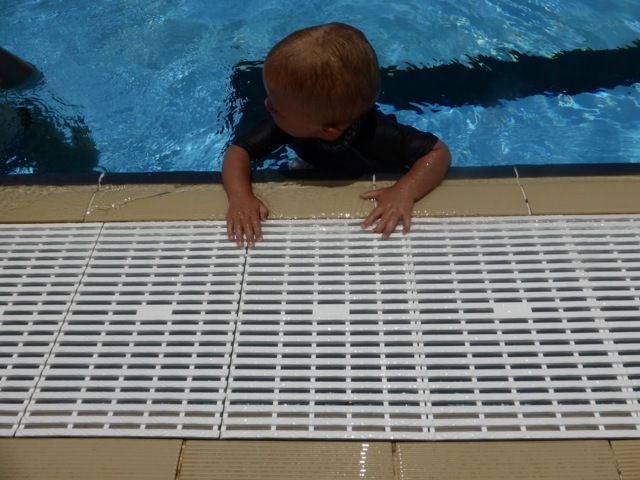 • Highest quality colours are used to ensure longevity and that gratings compliment the general pool layout. 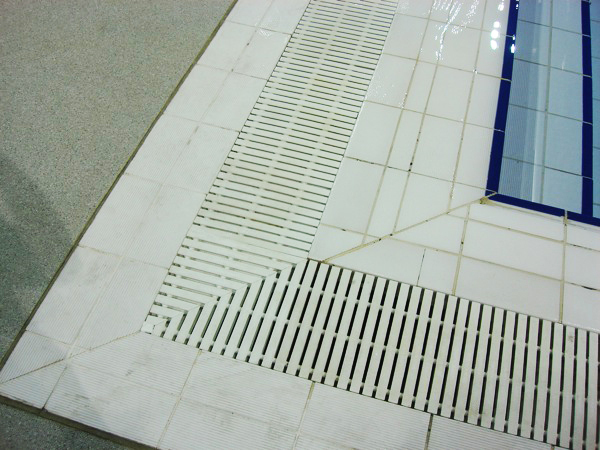 • Gratings can be removed easily for cleaning and inspection as needed. For LongiGrate (shown below) Click here.